Tekke Burnu from W Beach and the wrecked barge. 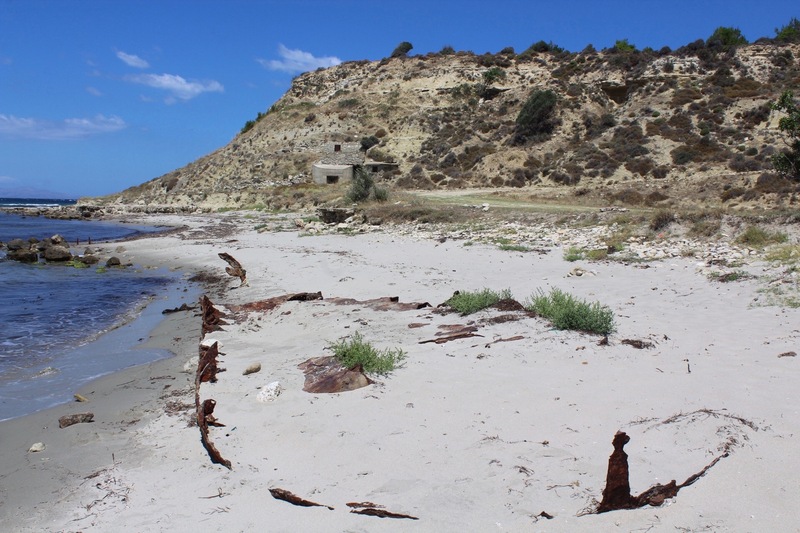 Note that the pill boxes post date from after the Gallipoli campaign. Photo by Noel Forde. The headland and shore at Tekke Burnu, named ‘Port Talbot’ by the allies, is reached by turning north at W Beach and walking to the end of the sandy strip. It is relatively easy here to climb on to the rocks just above the water and make one’s way round the headland. From here, a long strip of rocky shore opens up. 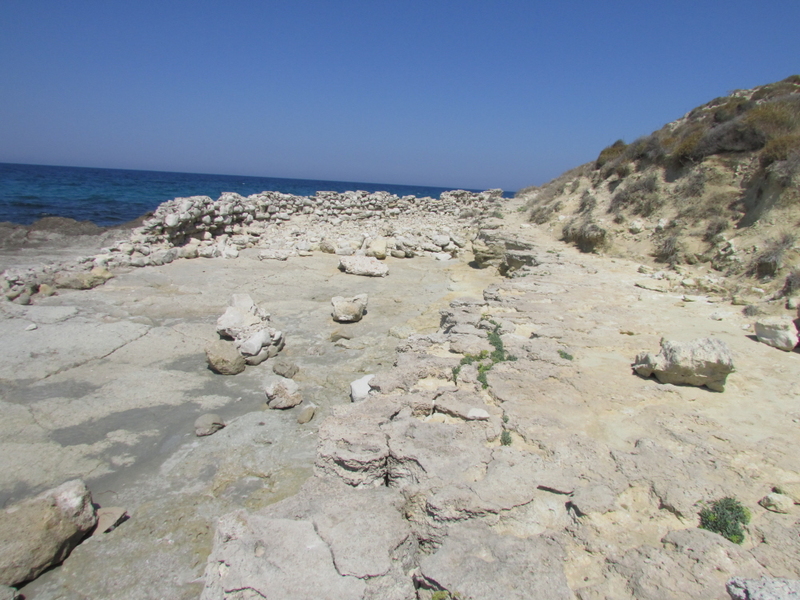 Note the walls and surface remains of the beach road here, photo below. Before starting to walk along the lower cliff edge towards Bakery Beach however, where there is a fairly well defined goat path, it is worth turning east and climbing up the headland via any route that seems easiest. You will emerge on to a scrubby area of flattish land riven with trenches and nearby, the Royal Engineers water tanks, described in the next location.